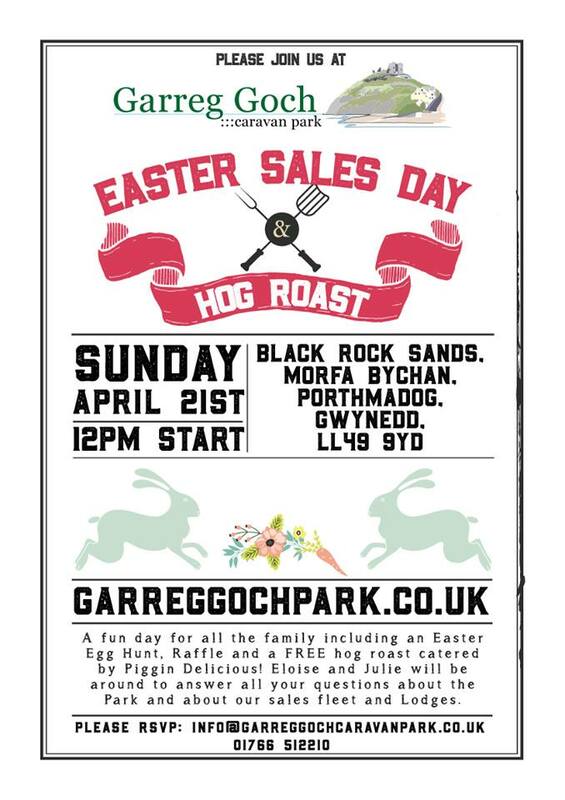 Come down and see us this Easter Sunday for a Fun Family Day out with a FREE Hog Roast, Easter Egg Hunt and a raffle with some super prizes. The team will be on hand to answer any questions about our Sales Fleet, the Park itself and you will get the chance to meet some of our friendly existing owners. If you are thinking of buying a holiday home then this is a perfect time to visit Garreg Goch Caravan Park as you will get a sense of it's community, a feel of the Parks atmosphere and a chance to have a look around our luxury Artisan Lodge with hot tub as well as find out more about our other sales fleet that is on park and those that are coming soon. You can have a look at our available plots. If you are interested in attending then please R.S.V.P to eloise@normanhurst.net. We look forward to seeing you all there for an eggsellent time!